When we first heard of this movie we thought it was going to be kind of a comedy romp. Now that the trailer is out and takes itself very seriously we just do not know what to think. It’s Tim Burton though so it should be at least interesting. 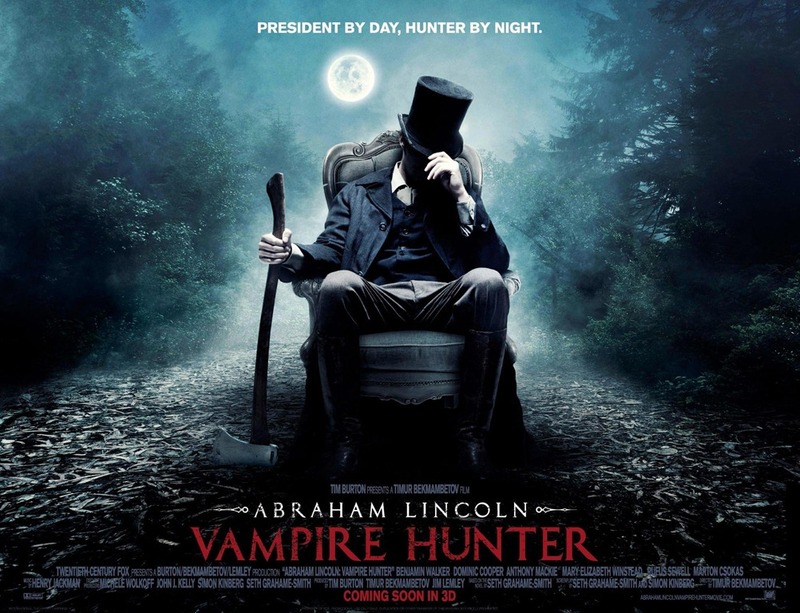 Abraham Lincoln: Vampire Hunter is a 2012 American 3D supernatural horror film based on the 2010 mashup novel Abraham Lincoln, Vampire Hunter. Abraham Lincoln: Vampire Hunter explores the secret life of our greatest President, and the untold story that shaped our nation. Visionary filmmakers Tim Burton and Timur Bekmambetov (director of Wanted) bring a fresh and visceral voice to the blood-thirsty lore of the vampire, imagining Lincoln as history’s greatest hunter of the undead.